I have always been extremely critical of myself which led to me needing time off work a little while back to deal with the pressures I was putting on myself. Nikki has been amazing and has helped me so much. I now not only know how to deal with difficult situations in a professional environment (internal or otherwise) but I feel ready to become a father for the first time and feel like I will be able to deal with whatever may need to be done in the future. I cannot recommend her services enough, no matter what you might be struggling with. Nikki – Thanks so much for everything. You’ve really turned my life around and I’ve met the most wonderful person in you. Nikki came to Carers Leeds to give a presentation on Stress Management. The presentation was given at just the right pace and was very interesting and informative. Nikki was very friendly and easy to talk too and gave an excellent clear presentation with lots of practical insights and exercises on how to manage stress and cope with day to day events. Everyone went away with lots of coping strategies and information on mindfulness to help deal with stress. I decided to look into coaching as I had a complete lack of confidence in myself and my abilities to do my job. I was struggling to cope at work and found myself in tears a lot of the time. I didn’t feel I was good enough to progress and take on new things and was worrying I wouldn’t get the opportunities for progressing because of the way I was behaving. I’d not tried anything like coaching before and had thought that things might just get better on their own. As a result of the coaching I learnt a lot a about myself and why I respond to certain situations the way I do. Nikki showed me that I’m not the only person who has these struggles and they could be resolved with work. The other thing I found was that the main thing that was holding me back was me and I was able to see this through Nikki’s techniques. The best thing about the coaching I had with Nikki was the way things changed for the better and how much better I feel about myself. I have increased in confidence, got my self-belief back and gained some coping mechanisms that I can take forwards with me. If you are thinking about having coaching with Nikki then the only thing I can say is “Do it”! Finally, I just want to say a massive thank you to Nikki. Without her help and support I would still be struggling and wouldn’t have the techniques to move forwards with and try to be the best possible version of myself. I don’t think I’d have coped with the changes put upon me this year if it hadn’t have been for an increased awareness of how my mind and body reacts when it gets stressed. Honestly, your sessions were massively helpful. Just a few months ago I started seeing Nikki on a weekly basis and Nikki has changed my life since then. Having just gone through a difficult time with an unhappy, stressed and depressed mood, I decided to get time to be myself and time for myself. I got it with Nikki who is very skilled at what she does, but does not come across as forceful. Nikki helped me to find my courage to face my job and with her help I was able to improve my professional and personal life by keeping me focused and accountable, yet providing an unbiased point of view. She was devoted to taking the time to understand my goals, dreams and aspirations, dedicated to my success and finding new ways to support me. She is a dynamic person who introduced me to the mindfulness world which helped me to break the cycle of anxiety, stress, unhappiness and exhaustion. I really don’t think I could have effectively managed the situation on my own and I am beyond grateful for Nikki’s guidance and the positive difference she was able to make in my life in a really short time. Finally, guess what? I got the job! I was at a crossroads in my life, both loved and hated my job which was causing sleepless nights and ill health. I looked for help and chose Nikki for her experience in stress management, career and life coaching. It was a decision that has brought me to where I am now after only 5 sessions. Through her techniques Nikki helped me realise who I was and what my values really were, in addition to understanding what I want and need from life to be happy as well as how to get there. We have to do the work ourselves of course but Nikki really gives you clear guidance in what to do which is where I came stuck. Through this therapy and guidance I know I avoided potentially months of depression. I still might not have all the answers but I’m so much happier, clearer and knowledgeable of how I’m going to craft my future and all thanks to Nikki. I wanted to say thank you again so very much for all your help over the last few months. Having started sessions with you when I was at a very low ebb, struggling to find my feet in a new job and suffering with the impact that it was having on me and my home life, I don’t think I’m exaggerating to say that I feel like a new woman now! Not only do I feel more confident and positive both at work and home, but I also know that if I have any hiccups going forward that I now have the coping mechanisms to deal with that. And I wouldn’t be able to say that without everything I’ve learnt from you and the homework that I’ve done. The daily gratitude practices & my weekly ‘coaching lunch’ are habits that I will stick with because I can see and feel the difference that they are making. Thank you so much again. I would recommend you to anyone looking for some clarity in their life. Having never experienced life coaching before, I have to admit to being reticent and a little nervous. But I had reached a junction, that felt like spaghetti junction, in my life. I felt I was under achieving, allowing stress and housework to take control. I didn’t realise at the time I approached Nikki that I was actually doing ok. I had lost my confidence, and had never possessed a huge amount of self belief. There were a lot of things that came up during my sessions with Nikki, but I really wanted her to help me pursue my interest in photography, as I felt stuck and greatly lacking in motivation. As many others have said before me…Nikki is a true professional. Her manner is easy and comfortable. Nikki guided me thoughtfully towards a different outlook. I looked forward to my sessions wondering what discoveries I would make about myself that day. I also learnt about mindfulness, which is a useful tool in a stressful world. Nikki is a terrific advert for what she teaches. Her measured style, ability to listen and make time and space for things to take a natural path led to an all round positive and productive experience for me. Above all she has the uncanny knack of asking exactly the right questions to make you think and work things out for yourself. Exactly what a coach should do. I was aware of mindfulness before meeting her. What she allowed me to do was weave it into my daily life and, by helping me identify those things that are truly important to me, get the focus on the right things with balance. I would have no problem recommending mindfulness or Nikki to others. When I first saw Nikki, I was feeling very stuck. I had been applying for senior posts and had had interviews but no job offer. In addition, I had been separated from my abusive husband for just over a year but didn’t have the strength to pursue a divorce. Nikki’s calm insight and relevant questions helped me to accept my situation as it truly was, rather than holding on to what could have been. She would also set homework and I got so much out of these enlightening exercises in self-exploration and meditation. During our sessions, I grew in confidence, worked out what was really important to me and now have a lot more faith in the decisions I make and the actions I carry out. I have arranged to go back to mediation with my husband and have decided to change career completely by going back to university to study psychology. In short, Nikki has helped change my life but also enabled me to embrace a life that is in tune with who I am. I would recommend her as a life coach to anyone, whatever their situation, background or status. Just want to say a massive thank you for all your help over the last few weeks. Definitely feel like I’m back on track and feel a lot better about things. After a stressful couple of years of having too many responsibilities and things to do, which resulted in a very busy mind that didn’t often rest, and a tendency to overlook my own needs, I contacted Nikki with a view to learning about mindfulness and techniques to use for just ‘being’ rather than ‘doing’ all the time. I had six sessions in total. Nikki weaved together mindfulness and life coaching and very skilfully helped me to step back and look at the effect on me, and other people, of my constant helpfulness, difficulty in saying ‘no’ and my need to ‘rescue’ people. And she was very supportive and encouraging of me to focus on considering my own needs and nourishing myself. As a result of the sessions, I learnt a lot about myself. There were a few ‘Aha!’ moments where I could clearly see and understand patterns of behaviour. In particular, the Drama Triangle has helped me to see how I can get caught up in the role of the rescuer! Nikki guided me to look at alternative ways of reacting to situations, and relinquishing this role. And as well as teaching the basics of mindfulness meditation, she showed me the importance of nourishing myself and offered several practical techniques for doing just that. I now find that I can switch off more easily, stop my mind from running away with worrying thoughts and everything that I need to do, ‘step back’ before I rush in to help someone or take on the responsibility for a situation, and I am more kind and compassionate towards myself. And all this means I feel more relaxed and have more energy, plus a sense of freedom to start thinking about what is right and good for me. I would recommend Nikki without hesitation. She has many personal qualities which help her to be an ideal life coach. She is kind, calm, insightful, encouraging, empathetic, a good listener, friendly, gently challenging, and has the ability to ‘see’ and get to the ‘heart’ of an issue very quickly and come up with relevant ideas to resolve it and move it along. Thank you, Nikki, for helping me let go of old patterns and begin a new way forward. I found your approach thoughtful, supportive when necessary, but also challenging at appropriate times. You gave me a way in which I was able to find a way through personal difficulties and come back stronger and more insightful. I think we/people like to think they are strong (I hear that often) and have the answers, but until someone challenges your belief systems and self-reinforcing views it’s easy to get into a hole. I enjoyed (umm, sort of) the way in which you were able to use psychological theory, mindfulness and practical experience to help me out of this. You clearly had given great thought to our sessions and I felt considerably better and further forward after each session. So, a huge thank you all round. Nikki radiates patience, positivity and empathy. She is very good at listening, concisely making sense and reason out of accumulated haphazard thoughts. Nikki and NLP have, as it were, handed me a torch to banish the negative shadows of the past, so that I can now put a spotlight on the future! Nikki is a professional who has had an immense impact on my career and life. The natural coaching, motivational and leadership skills she displays empower her colleagues to drive themselves to the best of their abilities. Nikki’s contribution would be an asset to any business and the people she works alongside. An exceptional listener who has the ability to ask exacting and probing questions to gain maximum insight into your current context from a personal and business perspective. 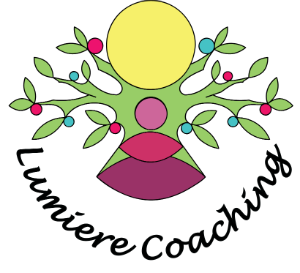 The coaching will act as a spring board to your business & life and she will provide a support structure that is independent, motivational and empathetic. Very adept in honing in on what really matters in terms of your work / life balance so that you can achieve your ultimate purpose in life. Nikki helped me to challenge my negative patterns of thinking particularly with regard to my right to be happy. She is warm and empathic and is able to think clearly and grasp meaning effectively. Nikki was very clear in her approach and in 4 sessions I gained some useful tactics in combatting my tendency towards negativeness and my anxiety. I gained understanding of some issues in my life and how to tackle them. Nikki’s coaching is very efficient and straight-forward, she has helped me to gain clarity so that I have put in place plans for my career and self-employment. One thing I like is Nikki’s ethics, she draws on her experience and advises how many sessions you are likely to need rather than just taking your money and encouraging as many sessions as possible. Recommend her highly. Nikki is a professional. She is knowledgeable and insightful, and draws on an immense amount of experience to offer you the tailor made package you require. She’s intuitive, and always seems to know exactly which tool to use, and when, for whichever challenge you bring her. A coaching session with Nikki is time spent within a safe, professionally boundaried environment with a lovely warm, caring individual who possesses a real gift for helping you to find out how to move to where you want be. I have valued my sessions with Nikki enormously, and have learnt much not only about myself but about the value of expert life coaching. Thank you Nikki. Nikki is a great active listener who reflects and challenges gently to look at beliefs and behaviour patterns that may be getting in the way of living life that is in alignment with who I truly am. She has a great ability at ensuring that the session(s) are working towards the end outcome intended. I chose Nikki as a transformational coach as I felt she is very knowledgeable and trustworthy. I felt safe to explore my internal world to move towards a life I want to live. When I worked with Nikki, I discovered an excellent listener, a compassionate coach and a therapist with a burning interest in the power of the subconscious mind. Nikki’s calmness and genuine interest in my process has inspired me to move forward and get closer to my dreams. I highly recommend Nikki to those of you who long for a positive change. 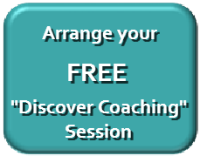 Nikki has the best working ethic you can imagine when you are looking for a coach or NLP Practitioner. Her love of working to transform situations always leads to a positive outcome. Her outward bound attitude allows you the freedom to consider the possibilities of your life before deciding which route will give the safest, yet most satisfying journey. Error: Error validating access token: Session has expired on Sunday, 07-Apr-19 11:10:04 PDT. The current time is Wednesday, 24-Apr-19 16:43:28 PDT.